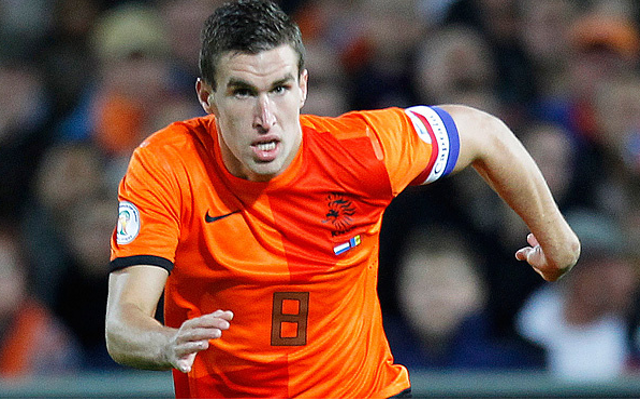 Reports surfaced over the weekend that the Blues are getting ready to bid £30 million for Roma Midfielder Kevin Strootman in a bid to prevent the 24-year old joining the Red Devils who are also interested in the Dutch player. The Netherlands international joined Roma for £15 million last year but has been constantly linked to an Old Trafford Transfer since Van Gaal took over, having played a pivotal part in Van Gaal’s national squad regularly. However, now with a £30million bid and United’s executive vice chairman Ed Woodward stating there is a low probability that the club will spend big in the January window means Strootman at Stamford Bridge could become a reality. Bookmakers and tipsters are already speculating on the effect such an addition might have on the end of the season for the Blues, who are leading the title race and finished top of their group in the Champions' League group stage. More players linked with a move to Chelsea over the weekend were Bayer Leverkusen duo Karim Bellarabi and Hakan Calhanoglu. Bellarabi and his fellow midfielder Calhanoglu are also on Chelsea’s radar after Mourinho was impressed with the pair’s performance in the Champions League so far. Both German international’s especially Bellarabi are renowned for their pace, something that Chelsea needs at Stamford Bridge. The duo was scouted during the team’s recent encounter against Benfica and as Mourinho has apparently become unhappy with Andre Schurrie and Mohammed Salah, he is hoping to off load the two and ready to make moves for the German pair. Winger Bellarabi has netted seven goals in fourteen games while with Bayer Leverkusen but is interested in making a move to the premier league. The Christmas period will see Chelsea play six matches in just 20 days, starting with Monday’s game against Stoke, which will no doubt take a toll on some of the more senior players. However, even though Mourinho believes his squad can deal with the workload the reports of three new signings for the January window is comforting.